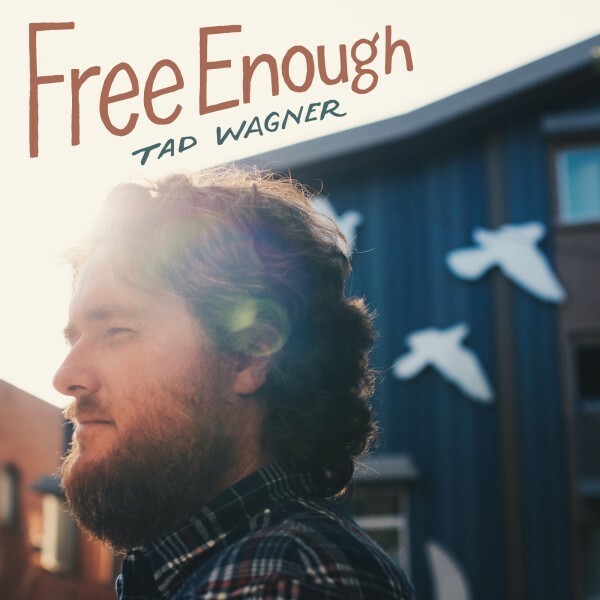 After years of gestation and toil, Tad Wagner (Buellton) has today released his debut solo album entitled Free Enough. We’ll have a full review soon, but after only a couple of listens we are hopelessly mired in the album’s sweet wonders. The multi-talented Wagner provided most of the instrumentals and vocals on the album, along with all of the artwork, design and hand-lettering. The album was deftly produced by Raymond Richards (Local Natives, The Parson Red Heads), who also added nice instrumental accents, including additive pedal steel and dobro touches. As you’ll find, the album dreamily floats around and through your ears, though its winsome sounds belie the underlying heartache and catharsis of the lyrics. Fans of the Beach Boys, Beatles and Elliott Smith (a shame they all had such tiny followings) will feel right at home while listening to Free Enough. To get a feel for Free Enough, check out the just-released video for the wondrous, dulcet track Wonder below. Afterwards, check out our prior missive regarding the album’s quintessential Coney Island video. And then, please, do yourselves a favor on this fine Friday, and go pick up the album HERE. We have written about Canada’s multi-talented Chilly Gonzalez before. Historically, Gonzalez has collaborated well with the likes of Drake, Feist, Peaches, Mocky, and a host of others along the way. 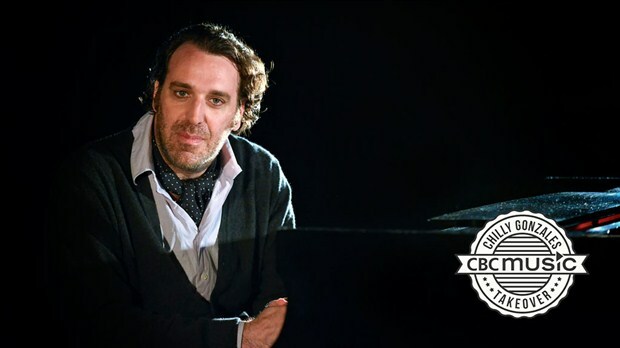 He also has recently collaborated with CBC Music to record the Canadian Music Masterclasses – Songs in the Key of Eh. Check out the most recent video in that series below, in which he breaks down and analyzes melody and motif in the music of Leonard Cohen, Bach, Shania Twain (yup), Drake, and Feist, and then mashes up the latter two cleverly. Heady stuff from Gonzalez. 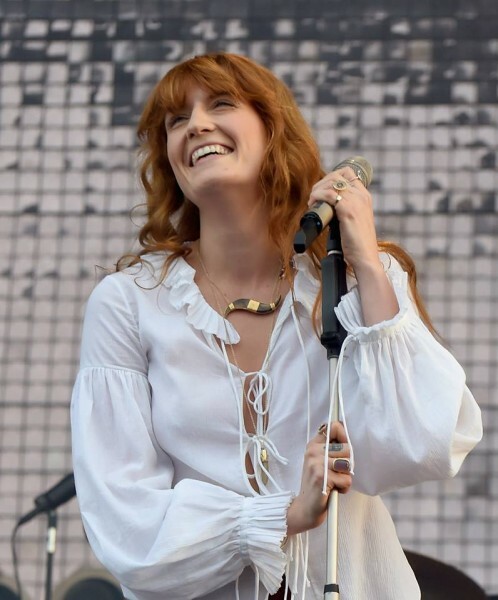 In support of their new, critically-acclaimed album How Big, How Blue, How Beautiful, Florence + The Machine’s tour will alight in California in October and feature a return to the comparatively-intimate Santa Barbara Bowl on October 20th. In support of the album, the band has just released the cinematic double-feature video for album tracks Queen of Peace and Long & Lost. Director Vincent Haycock shot the short film on the isle of Easdale. The video flaunts leader Florence Welch’s considerable acting skills in emotionally charged scenes of violence, healing and mourning. Not for the weak of heart, but well composed and sung. Welch is one of the more powerful singers in pop-rock, and we can’t wait to hear her unleash it live at our Bowl on October 20th. Today all-time faves Elbow have released a new EP entitled Lost Worker Bee, consisting of four new songs all based upon their home town of Manchester. 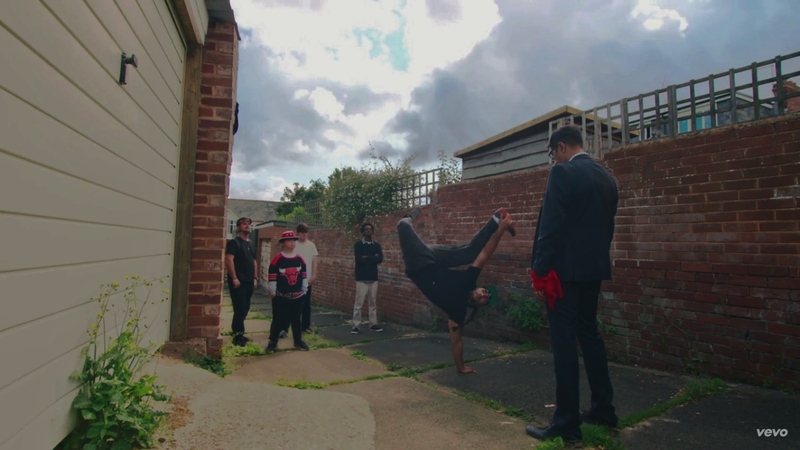 To help present, the band has released the heartwarming video for the title-track. Check it out below. We love everything about it and the song (Garvey’s usual fine lyrics and vocals, the horns, the added electronic bits–everything). Here’s hoping Garvey has found/finds his queen. In the throes of summer, we admit we’ve become lost worker bees ourselves. Excuse us while we take a stroll. We’ve been nervous for tomorrow and for today (as the song goes), and have lapsed into roaming around wjo;e plotting, plundering and placating (not necessarily in that order). While doing so, we happened upon Philadelphia’s buzz-worthy Girlpool and their charming song Chinatown, which you can listen/watch immediately below. On Chinatown, Girlpool manages to sound (to our ears) like a Belly-crossed-with-Buellton variation on Yo La Tengo’s cover of Daniel Johnston’s Speeding Motorcycle (if you know what we mean–the latter can be listened to at bottom). Despite all of these references, Girlpool manages to make Chinatown their own. If you like what you hear (and who doesn’t? ), check out Girlpool’s Ideal World below Chinatown. 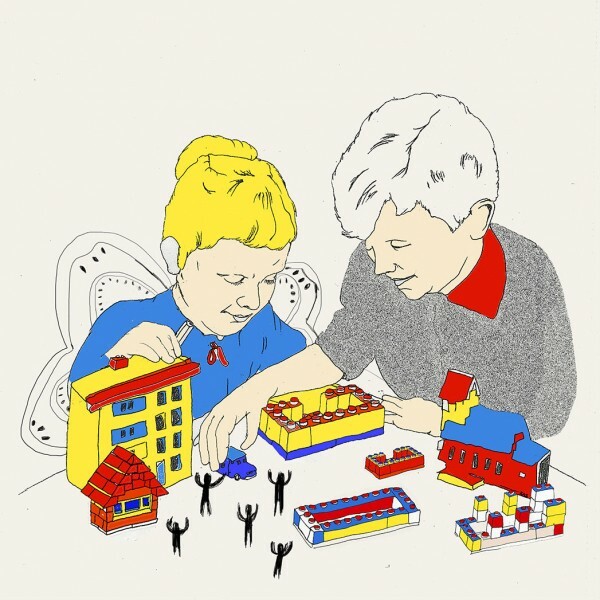 Girlpool’s debut album, Before The World Was Big, was released last month via Wichita Recordings​. 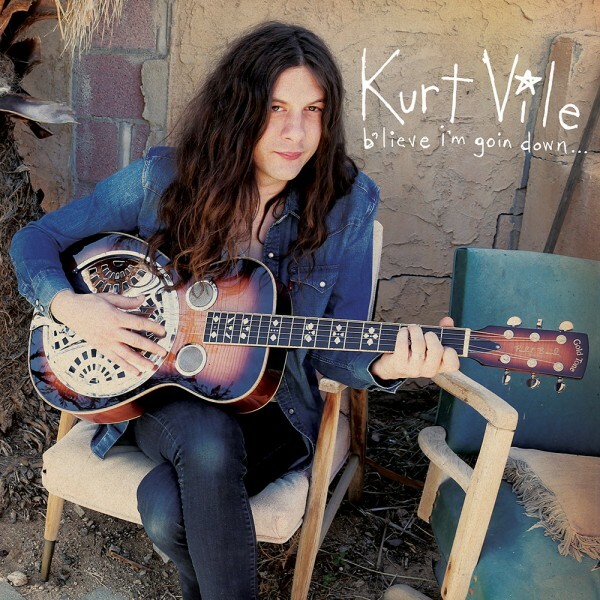 Former War On Drugs member, Kurt Vile, is back soon with new album b’lieve I’m goin down, his follow-up to 2013’s critically-acclaimed breakout album Wakin on a Pretty Daze (OK, we’ll play along with the dropped-apostrophe thin’). Vile has now released the first track, Pretty Pimpin, from the new album, and it’s a groove-jangly number that worms its way deep into your psyche after a couple listens. The standard melancholic gloss from Vile is gratis. We love the Skynyrd-meets-Elliott-Smith sound and groove to the whole affair. Bodes very well for the new album (track list at bottom). Check out the intriguing LA-centric video below. You can pre-order the new album HERE. Last night at Justin Vernon’s Eaux Claires Music Festival, mixed into his setlist (see below), Sufjan Stevens and a horde of horns (the “No BS Brass Band“) performed a phantasmagorical version of Come On! Feel The Illinoise! Mid-song, Stevens introduced a synthesizer interlude he dubbed “Dead Jazz” by saying that his “whole career has led to this moment.” Check out the fan video below. 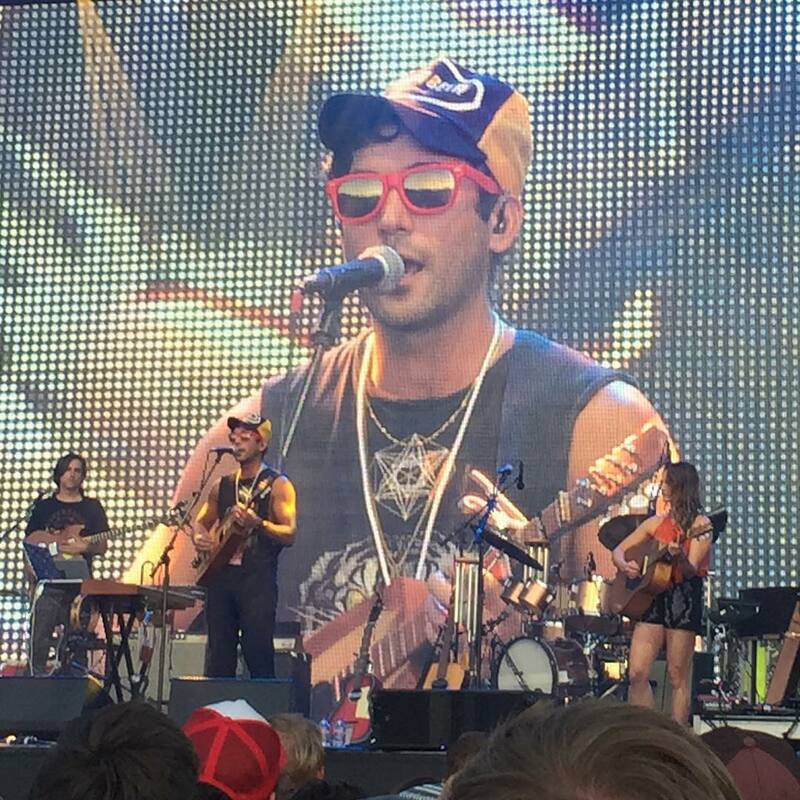 As we write, the dream-festival is going on in Eaux Claires, Wisconsin. As reported here ad nauseum, Justin Vernon is putting on the Eaux Claires Music Festival this weekend and it features the most Lefort-centric lineup and confab we’ve ever heard of. Bon Iver, The National, Sufjan Stevens, Spoon, Field Report, Sylvan Esso…are but a portion of the lineup. Dang. Word has come in of last night’s set by The National (with Sufjan Stevens, Justin Vernon and others in support), and it literally hurts our souls to have missed it. We were particularly hurt to learn that we missed The National (see above picture) performing one of our all-time favorite songs, the rarely-performed Apartment Story off of their breakout album Boxer. So off we went down that rabbit-hole this morning, rediscovering the prophetic official video for Apartment Story. The video is ostensibly of the band merely performing at a wedding. But in retrospect, the video can be seen as imagining/predicting the band’s slowly-evolved popularity and takeover of the music world with their incessantly perfect songs and deliveries. As with the music audience back in the day, the wedding attendees initially sit yammering inattentively while the band delivers their stunning song in the background. But at 2:01 we see the attendees gradually coming to attention and getting sucked into the song and band, with their gazes, toe-tapping (like my father) and finger-drumming. 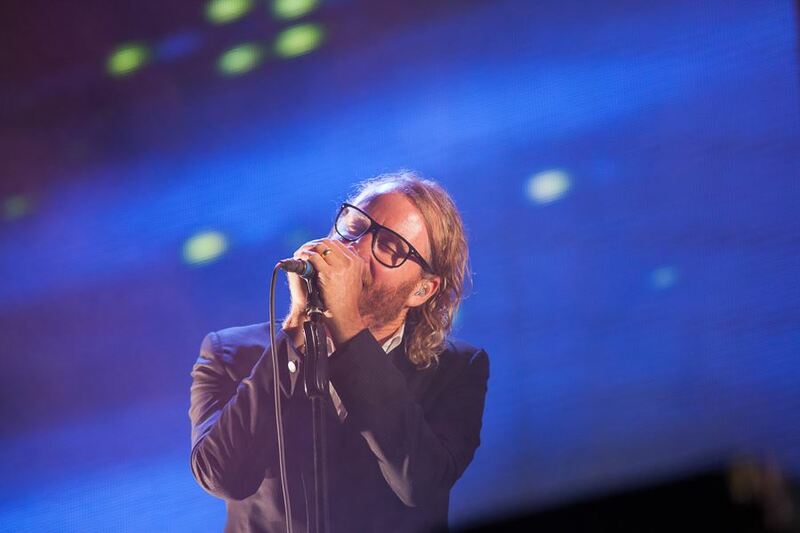 And then they’re all in (including Matt Berninger’s wife, Carin Besser, at 2:21 and his Mistaken For Strangers’ brother Tom Berninger at 2:09). And so it has gone for The National since the video was released in 2007. We don’t know a more-deserving band. Bravo boys! Producer/musician Dave Sitek (TV On The Radio) has had a solo project entitled Maximum Balloon since 2010’s album debut. 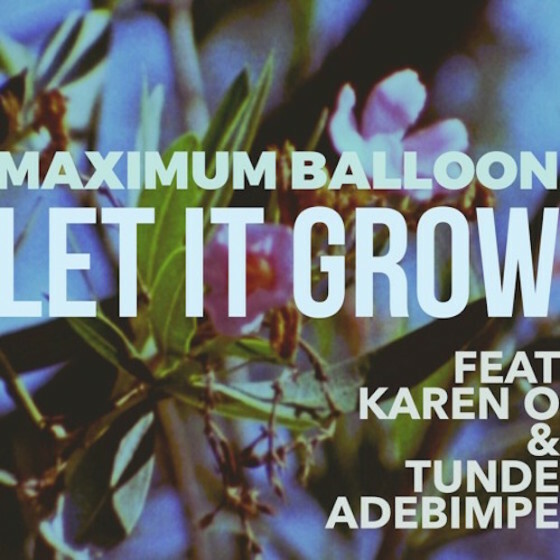 Maximum Balloon (on Federal Prism) is now back with a phenomenal new love song and an avowed album. This lovely song, Let It Grow, may end up joining the wedding-song pantheon. It features the crystalline vocals of sultry Karen O and TV On The Radio’s stentorian Tunde Adebimpe doing what they do best. Listen below. It just floats over you while Sitek continues to baste on the shimmering sounds to the song’s end. Like a Maximum Balloon ought to. ‘Tis lovely. The lyrics are at bottom. 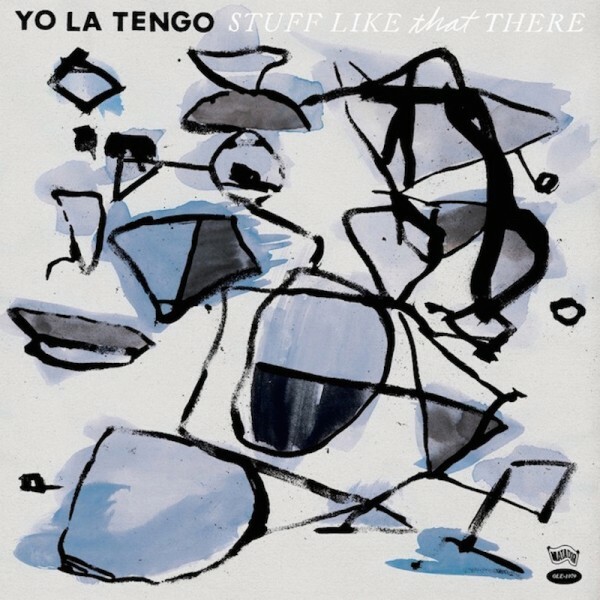 Yo La Tengo has always had a winning way with cover songs. Their 1990 album Fakebook remains one of the finest cover albums ever recorded (their take on Daniel Johnston’s Speeding Motorcycle the perfect example). 15 years later, Yo La Tengo will next month release another covers/originals album entitled Stuff Like That There (via Matador Records). See the tracklist at bottom (Sun Ra, huh?). This week the band released their sweetly-ominous video for their cover of the Cure’s favorite, Friday I’m in Love. YLT’s version is a decidedly scaled-down acoustic framing, and we love it. We’re not exactly sure what to make of the video, however, which would have you believe that Georgia Hubley’s singing of the song possibly results in the earth being attacked by exploding pink hearts. It’s a great cover, but…. Check it out below. You can pre-order Stuff Like That There HERE.